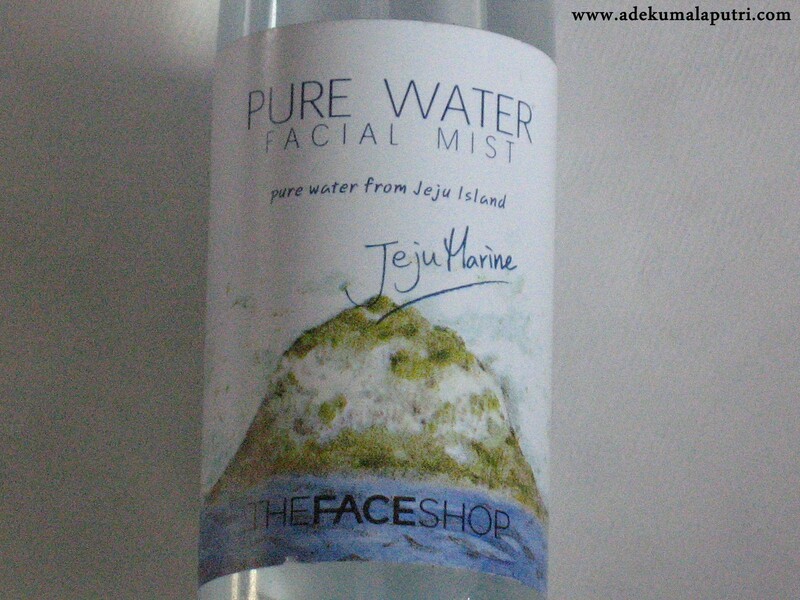 The Face Shop Pure Water Facial Mist comes in 3 types : Jeju Marine, Jeju Flower and Jeju Orange. 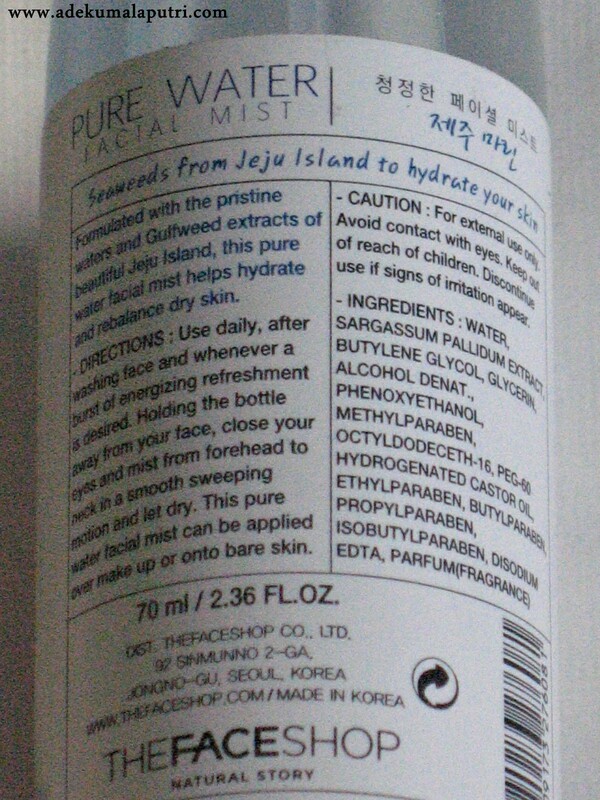 Formulated with the pristine waters and Gulfweed extracts of beautiful Jeju Island. 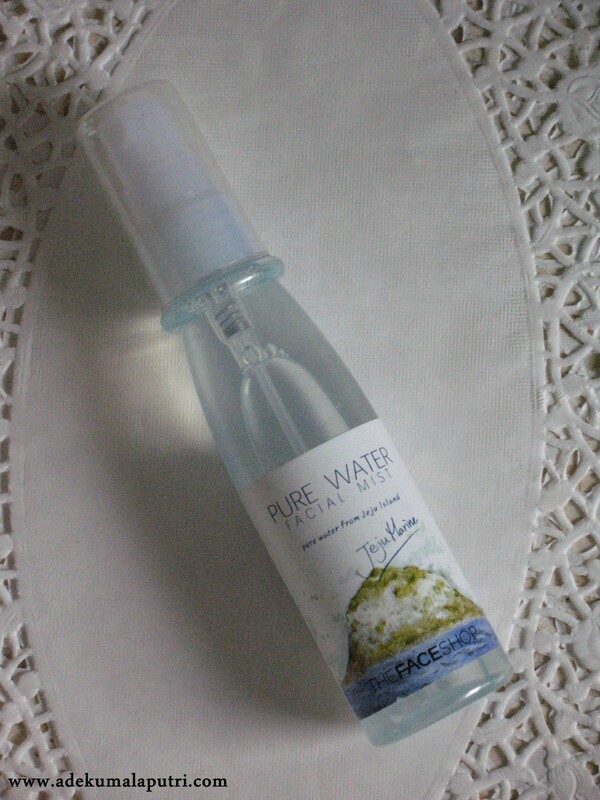 This pure water facial mist helps hydrate and rebalance dry skin. 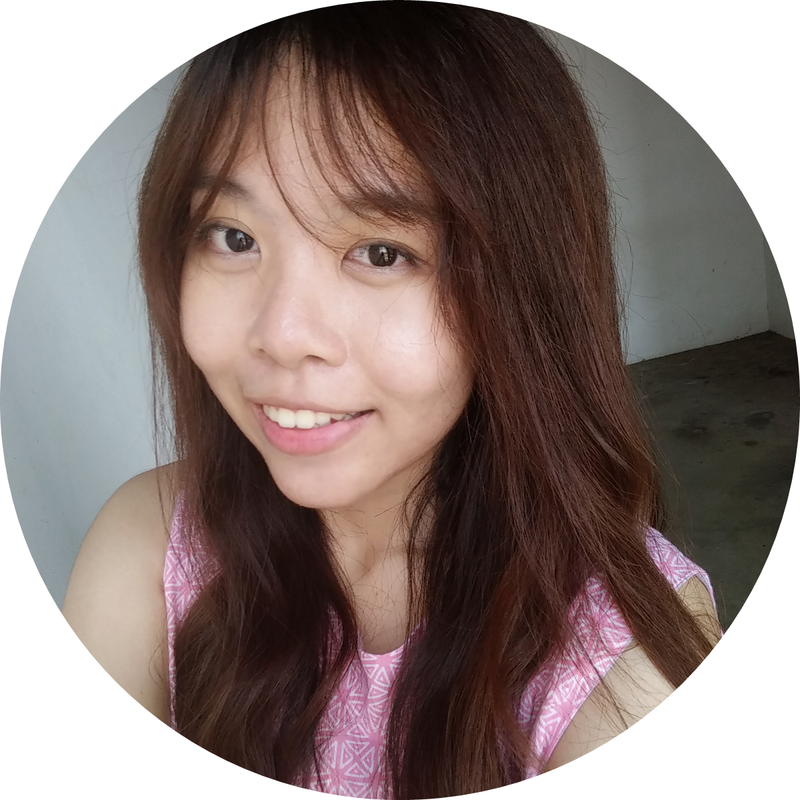 And of course, it's very very easy to use~! 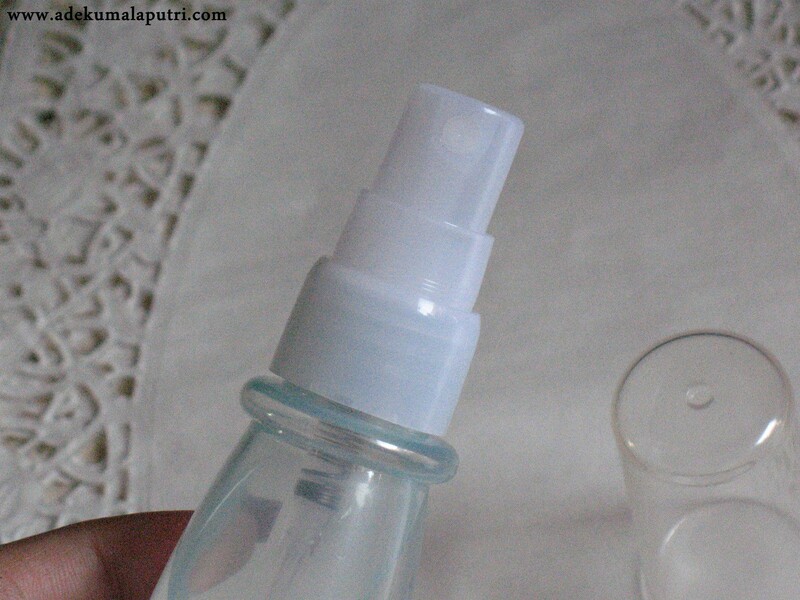 All you have to do just holding the bottle away from your face, don't forget to close your eyes and spray from your forehead to your neck. 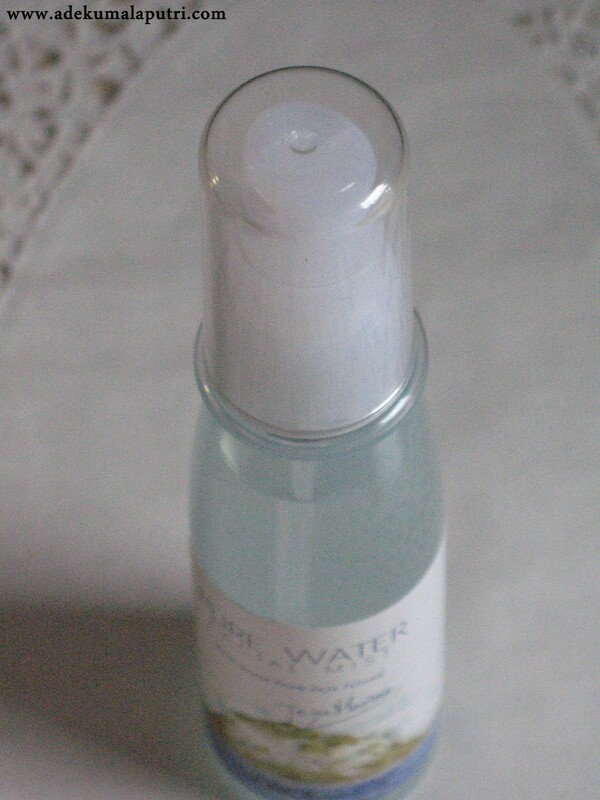 And use your palms to massage your face until all the moisture is completely absorbed and dry. Love : ✩ Slim & light packaging. 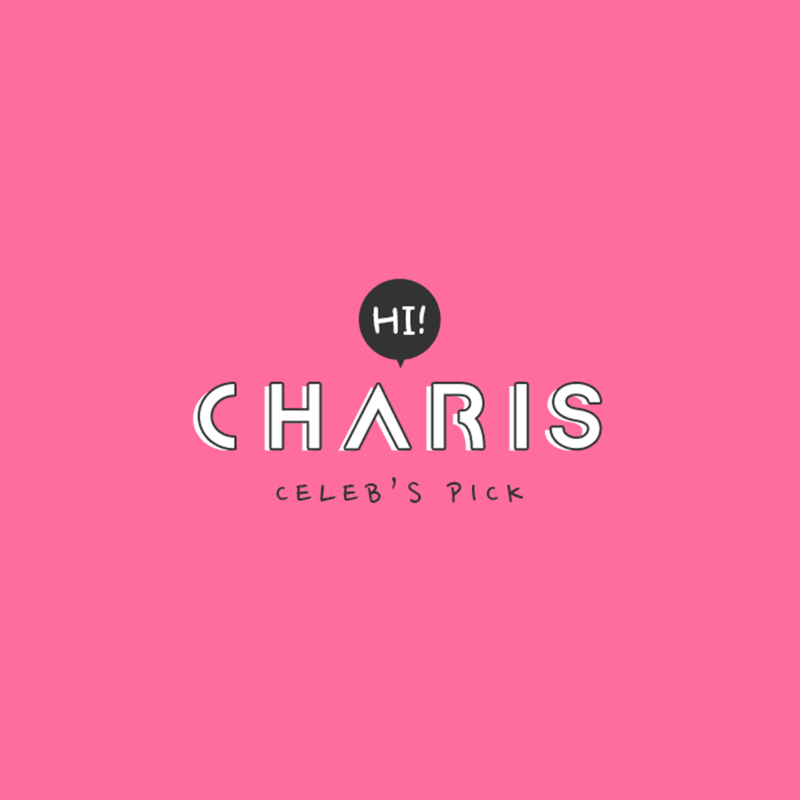 ✩ Smells so good and not strong. 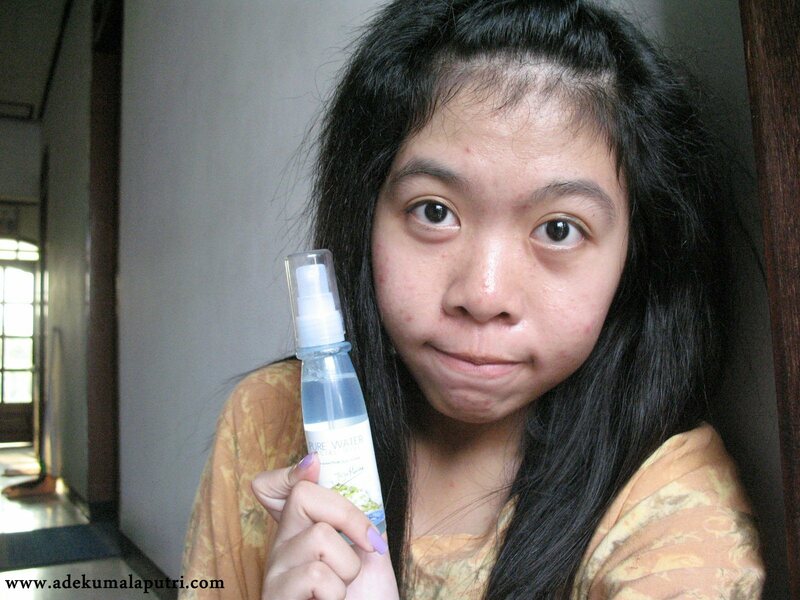 ✩ Easily absorb to my skin. 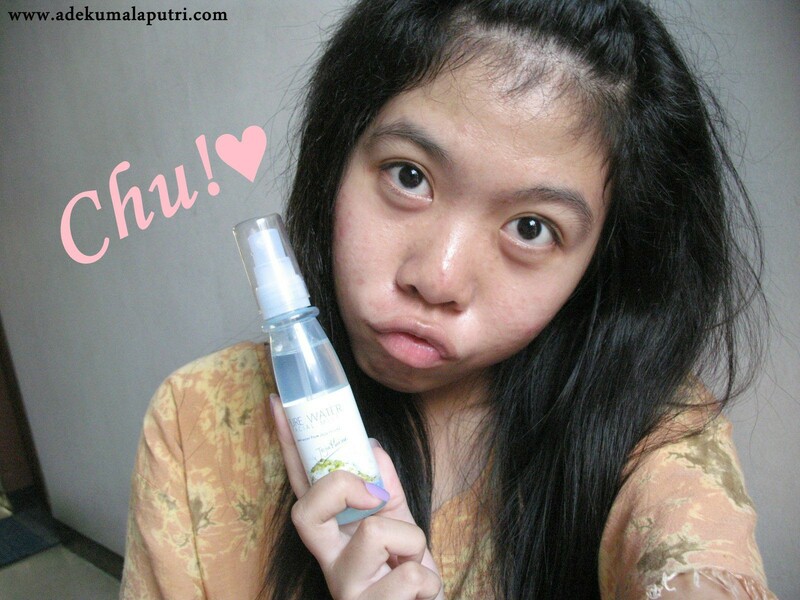 ✩ Refreshing my dull, tired and sleepy face. I always follow your beautiful sharing, with the wishes of the continuation.